WHEN LATVIA conducted its biggest-ever national military exercise last August, which mobilised more than 10,000 people, a group of researchers discovered that using only open-source information they could identify about 10% of the individuals involved¡ªand use that knowledge to track the exercise in real time. They also found they could make a soldier leave his post, against orders. Janis Sarts, director of NATO¡¯s Strategic Communications Centre of Excellence, which ran the experiment, said it was very simple. The StratCom unit was set up in 2014. It now has about 40 people and is already outgrowing its home in a white building in Riga. Its expansion reflects the rising importance of information warfare in the age of social media. Part of its job is to do something for which surprisingly few governments have the capacity: monitor the information environment. It tracks the ¡°weaponisation¡± of social media, including the use of bots and a growing trend towards ¡°hybrid¡± activity involving both humans and machines. It studies what Russia and terrorist groups are up to. Iran is also increasingly active, says Mr Sarts, and China is quickly becoming the most capable country, though it is less willing than Russia to take risks in Europe. The other part of the job is to put this knowledge to use. The unit helps with training, introduces information warfare into NATO exercises and gets involved in operational support beyond the military sphere, such as election resilience. Tracking Russian propaganda efforts to undermine NATO¡¯s new multinational battlegroups in the Baltics allowed StratCom to push back quickly and effectively. As data get ever richer, Mr Sarts expects information to be increasingly used to influence behaviour; he talks of ¡°cognitive warfare¡±. Deep fakes will make it hard to know whether a video or voice recording is genuine or not, undermining trust and making more people move to closed groups with embedded beliefs, he predicts. Some of the tech giants, including Instagram (owned by Facebook) and YouTube (owned by Google), deserve more scrutiny, he says. He does not think that self-regulation will work, and sees a need for a proper regulatory framework. StratCom collaborates on some projects with a well-regarded centre in neighbouring Estonia that specialises in cyber-defence. Lithuania has an outfit for energy security. 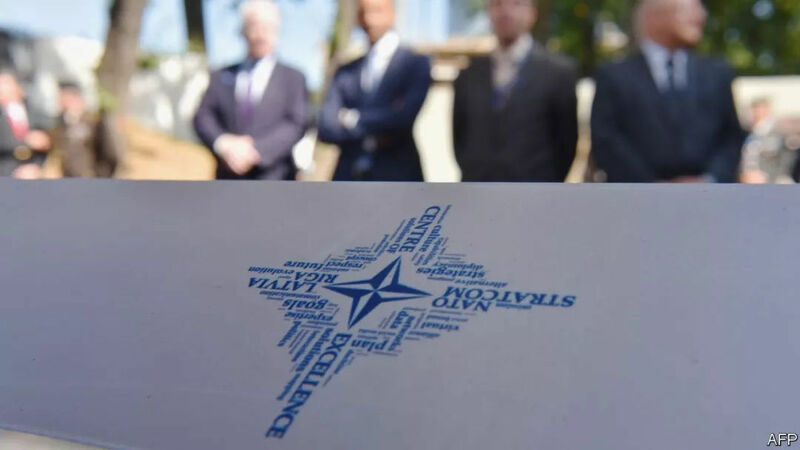 They are among 25 NATO-accredited ¡°centres of excellence¡± with a range of expertise¡ªone way in which small countries can make an outsized contribution to the alliance.